Gee, I wonder what ol' Leatherface has in mind? 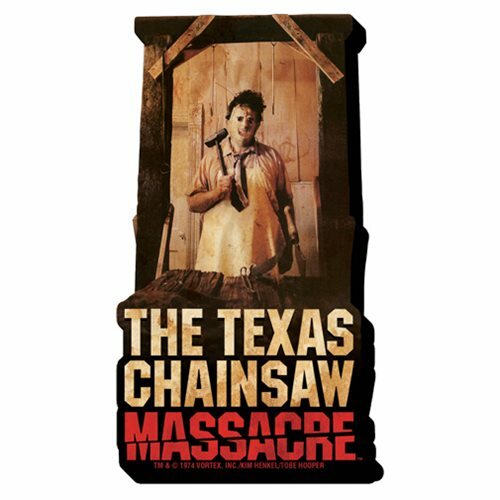 If you know the answer, you probably also want this Texas Chainsaw Massacre Hammer Funky Chunky Magnet on your refrigerator. This isn't your run-of-the-mill magnet. It's wooden, it's laser die-cut, and it's chunky! Ages 17 and up.